6 hours per week online shopping. 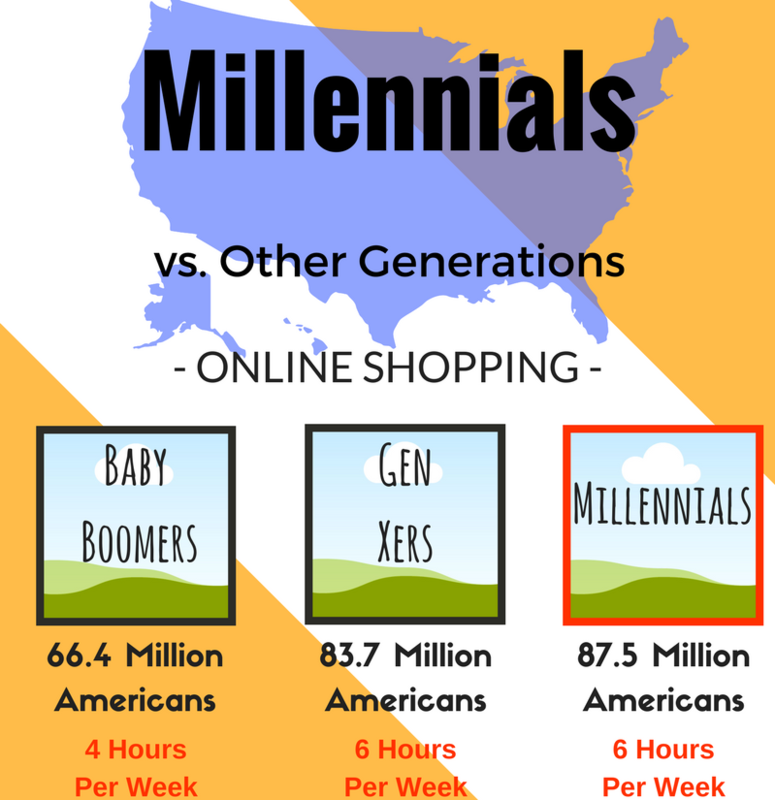 That’s how many hours on average millennials spend shopping online! That’s more than the average baby boomer who spends only 4 hours shopping online. Not only that, but millennials are staying online as much as those in generation x. Then why focus only on millennials? Because, they are the largest generation in the United States, which means a higher rate of potential customers. So, you should probably be bombarding them with ads right? Right! They’re the least to get hot and bothered by any of your ads. Check these cool stats out. Now, this doesn’t generally mean they’re converting from your ads. They’re just not seeing your ads as spam. But here’s a positive note! 63% of millennials actually search on social media for coupons to use for their purchases. That’s a huge crowd of millennials who are shopping online for the best deals. 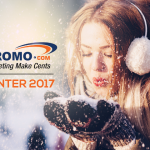 So why not market your best coupons and discounts to this money saving audience? It’s safe to say 67% of millennial consumers prefer to shop online rather than in-store, so giving them access to coupons and discounts will only increase your conversion rate. The online world is continuing to grow, and if you’re targeting millennials, or even thinking of targeting them, then you’re doing it right! Although, marketers owe special thanks to social media. As a millennial, I remember Xanga.com as my first social media platform. 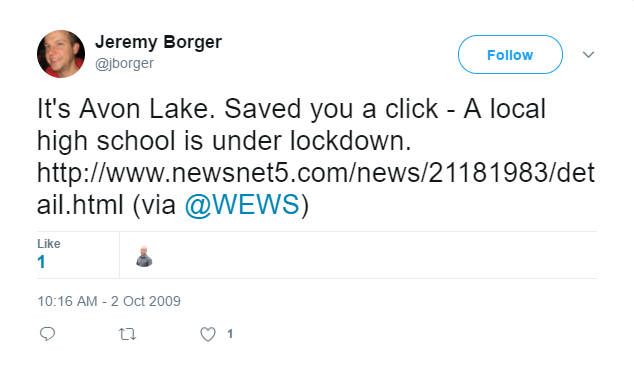 Then, it was the beloved MySpace. I remember creating my own MySpace profile in 2005, but I was only in middle school! Of course, this was the time where social media was hardly ever mentioned. Today, 81% of the U.S. population have some form of social media account. That’s 4 times more than the amount of users in 2005. Although, we can see why the growth in social media occurred. 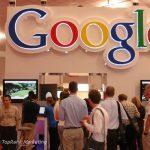 Youtube launched in 2005, Twitter launched in 2006, Facebook opened to public access in 2006, Tumblr launched in 2007, Pinterest launched in 2010, Instagram launched in 2010, SnapChat launched in 2011, and Vine launched in 2013. With only 11 years open to the public, Facebook leads all social networks with 1.86 billion monthly active users. Shmoly, that’s a lot of users on one social network, but let’s focus on millennials. In the U.S., 70% of millennials are part of the popular social network. That’s more than 40 million millennials that are on Facebook. That’s a great deal of them. But where are they, you may ask? They’re following you, but not “officially”. Here’s the thing, millennials prefer not to tell you that they are following your brand. So give them a reason to follow your brand. Target them in their language, because aside from millennials not following brands, there are those who do. 66% of millennials do follow brands on social media. Well that’s pretty relieving, right? We know brands are doing something right to attract 66% of millennials, and that’s why we want to help you! We know how difficult it could be to target millennials through social advertising, but 38% of millennials said brands are more accessible and trustworthy when they use social rather than traditional advertising. Throw away the old and bring in the new. We’re no longer following a generation where traditions are followed, but we’re following an audience where new experiences are longed for. 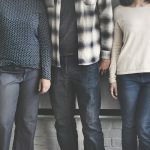 Don’t shy away from marketing to millennials! Millennials want the truth, the whole truth, and nothing but the truth! If they aren’t going to get it from you, they’ll get it from other consumers! 44% of millennials are more likely to trust experts (who happen to be strangers). Let’s remember “Saved you a click” is still out there, and it’s working against our marketing strategies. So as a marketer, you have to think…how do I go around this to still get the click? Even though this is just a very small example, many millennial consumers are warning others to not waste a click. The times of the teasing headlines are almost over. Although some headlines could still work on certain customers and readers, keep in mind, the click might be saved. Social media is being ran by millennials! Be on the lookout (ok, maybe I’m just being biased). 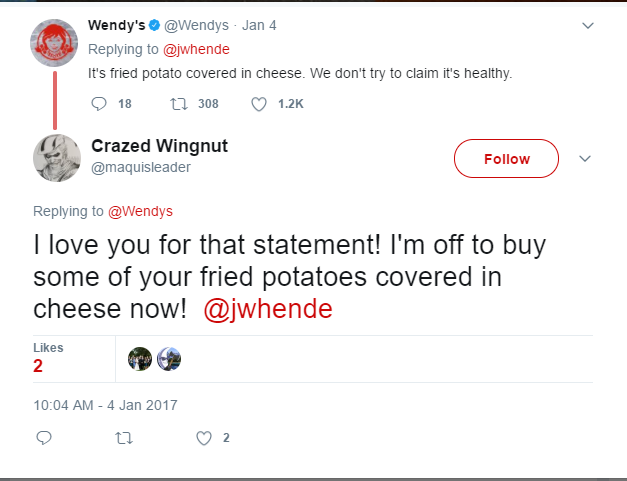 The responses to Wendy’s tweet favored the fast food restaurant. Why? Because they’re stating the truth that their food may not be healthy. Millennials love companies that “keep it real”. Be real with it too! You need to pick hashtags that will get millennials to click. There are a lot of slang words and abbreviations that millennials grew up to learn. Yes, I’m talking about BRB, TTYL, LOL, JK, OMG, YOLO, FOMO, SMH. Those aren’t the only ones, but they definitely attract your current millennials. Take for instance, the following email by Spirit. The message is clearly intended for millennials. 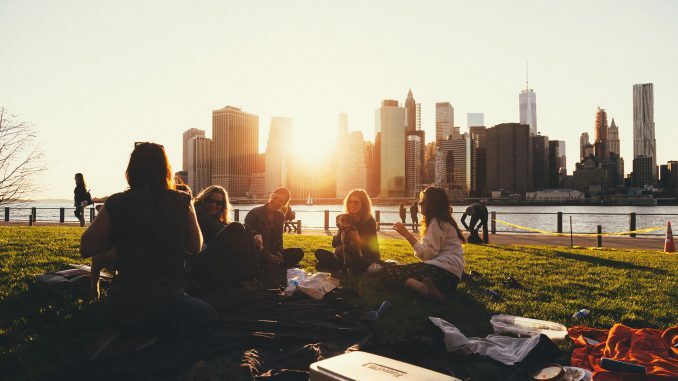 With 72% of millennials choosing to spend their money on experiences rather than material items, it’s no wonder Spirit Airlines chose to target millennials. Spirit Airlines are aware that millennials prefer to travel with a budget, because they now make up 70% of hostel guests. 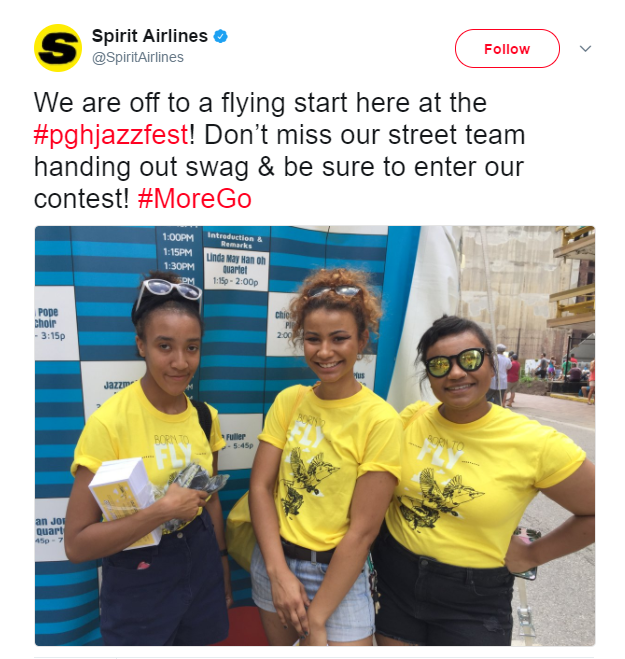 As a low cost carrier, Spirit Airlines takes pride in targeting millennials to get them to point B at an affordable cost, AND it’s definitely working. 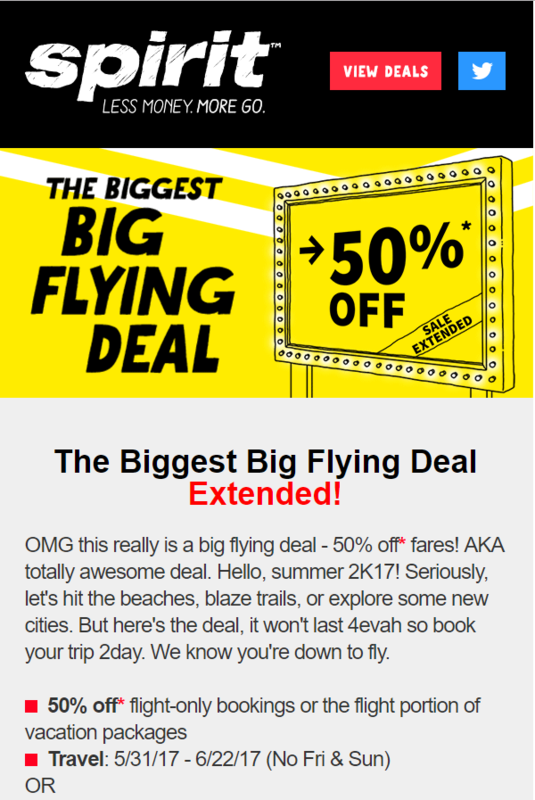 Find the perfect angle to target millennials just like Spirit Airlines. So the next time you want to target millennials for your next campaign, think about your verbiage. Don’t speak like grandpa and say “hip”. It’s not in, and it will not work with millennials. Study the language and apply it. You could never go wrong with funny. It’s said that 70% of millennials share content that makes them laugh. Create a test and add some humor to your next campaign. Maybe your company portrays a professional stance where humor can’t be applied. Well here’s another smart way to get millennials. 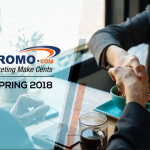 Affiliate marketing! It can be so beneficial to have a millennial represent your company. Especially when thousands of other millennials are following your affiliate’s social media account. Let me focus on Instagram, because this is where I see affiliate marketing the most as a millennial. More than 70 million photos and videos are posted to Instagram every 24 hours. That’s a lot of content! BUT millennials most likely see posts on their feed, from celebrities, or on the trending page. One example is Instagram celebrity Casandra Martinez. 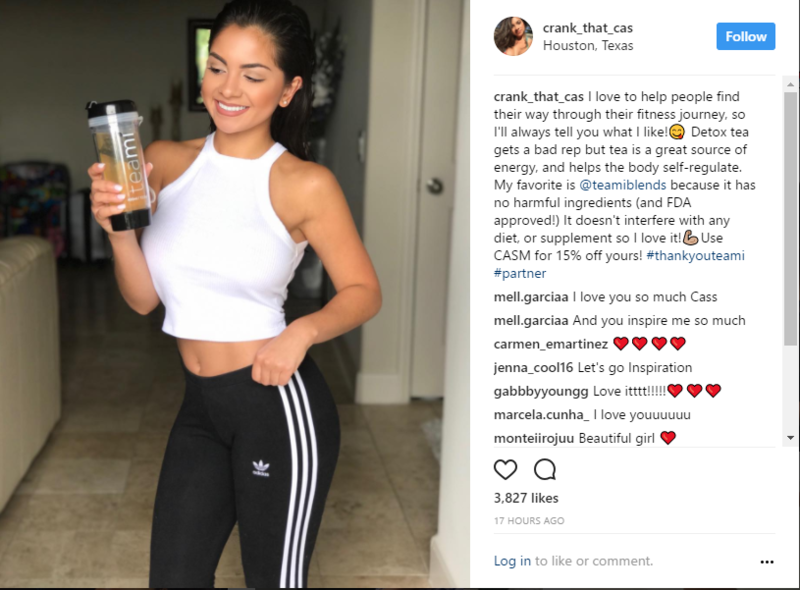 She’s appeared on MTV several times and now promotes her active lifestyle on Instagram. With around 146,000 followers, she partners with many small companies to get their product out to the right target audience. You have to be smart about who you choose to represent your company though. Teami Blends knows their target audience revolves around healthy living, so they pick their affiliates who represent their message. You can use this same strategy across other social media platforms. OR EMAIL! Feature your partner on your emails to drive traffic to your website. Reach out to the millennial that could represent your company! This is definitely a way to grab a millennial’s attention on social media. I strongly standby this idea because of how many millennials idolize celebrity millennials on social media. As a millennial Instagrammer, I follow an “InstaFamous” celebrity because of her fashion style. I like to get chic ideas out of her, and many of the times, I buy the clothing she’s advertising. This day in age, it’s tough to grow a network outside of the computer. Take advantage of the new tech world millennials are part of. Millennials no longer care as much to have the “best” brand. Price point has the most influence on 62% of millennials. This outweighs recommendations from friends, brand reputation, and product quality. They are not cheap! They just prefer to spend their money on other things. For instance, take a look at this chart below. Millennials spend less on clothing than gen xers and baby boomers. Note, this is also present data. Crazy, right? 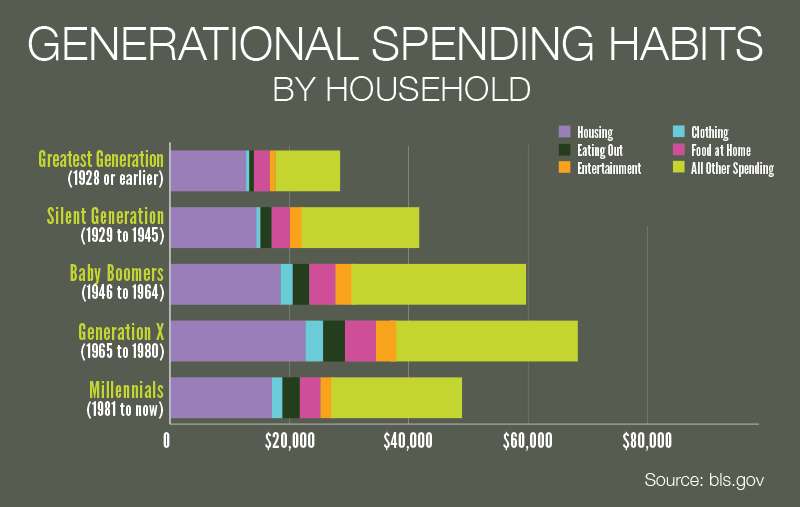 Millennials spend $47,347 annually, that’s less than Gen Xers ($66,981) and Baby Boomers ($59,646). So when targeting millennials, choose the dollar menu. Many companies have incorporated this idea. You have the infamous dollar menu at McDonald’s and the dollar spot at Target. Here at AnyPromo, we’ve incorporated this concept with our Products Under $1. After we added our Products Under $1 on our Shopping Guides menu bar, we evaluated that the conversion rate for Products Under $1 was 4x higher than other subcategories in our Shopping Guides. Because of our collective data, we decided to place Products Under $1 as a homepage banner. I fall into the category of affordability. As a millennial, I definitely find myself looking for the best, cheap deals. Give your millennial audience an affordable offer they can’t refuse. If you’re not contributing to the world, they’re less likely to purchase from you. With 57% of millennials volunteering today, 75% of them say it is important that a company gives back to society (Advantages). For example, let’s talk about the well-known giving company, TOMS. From its name and logo, to its company’s message. TOMS made its shoes the most popular item in the summer of 2006. With their first brand message as “Tomorrow’s Shoes”, they’ve fulfilled their promises to donate shoes to children in need. Now, TOMS is giving back in many different ways. They’re not considered a company, but rather, a movement. 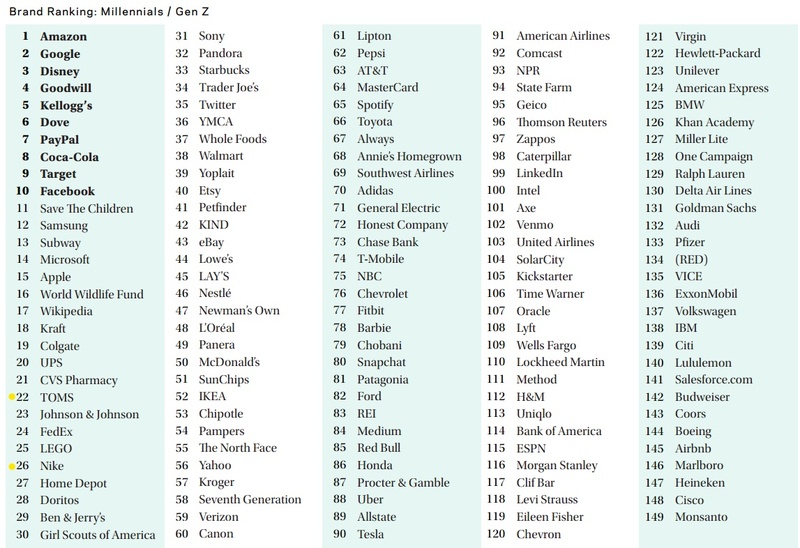 And according to a 2016 report by Enso.co, millennials ranked TOMS higher than Nike. That’s because millennials are all about change and making a difference. Many millennials, like myself, plan to make differences in the world. 68% of millennials have a personal goal to create a change in the world versus 42% of baby boomers who aim for that same goal. The numbers tell us everything! They want to help make a change in the world. Give them the boost to be part of this helping society. As a millennial, I’ve done several things to be actively involved in my community. My favorite experience was when I went to the City of Children orphanage in Ensenada, Mexico. 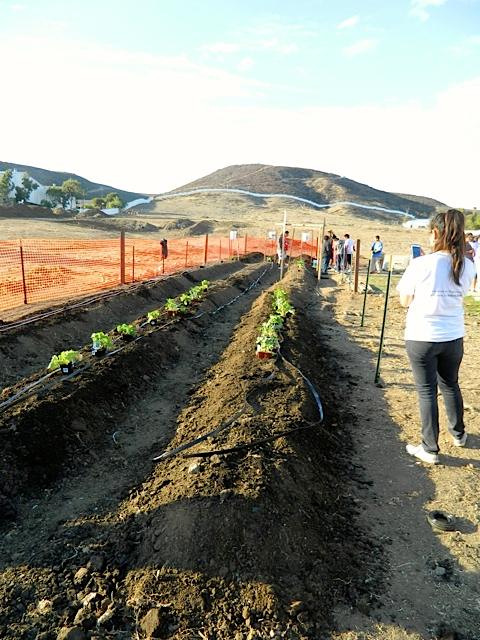 My group and I helped build a garden from scratch, and it was awesome. To provide food to an orphanage made me feel so good inside. That’s the feeling that makes me constantly want to help others. But here’s something awesome to take in. 41% of millennials have recently taken concrete action (protested in a march, volunteered on a campaign, canvassed a neighborhood for signatures) on an issue that is important to them versus 17% of baby boomers. Not only are millennials yearning to be involved in making a difference, but also, they are taking action. So, if you implement this concept for your company, then you know millennials WILL take action. We’ve just changed the way marketing strategies work. And having a millennial on board your marketing team could definitely help. Marketing strategies have changed, so go with the change. 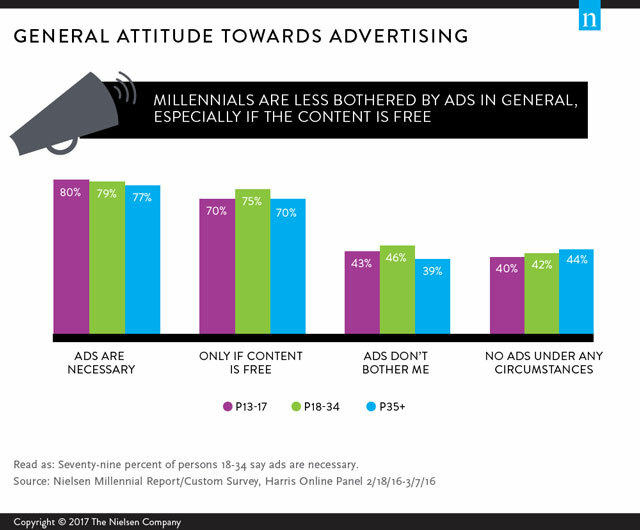 85% of millennials don’t trust traditional advertising. So although they are not getting hot and bothered by your ads, they’re not trusting the traditional types of ads. What does that say? They trust ads that apply to them! So if you have millennials spending most of their time online shopping, then you need to approach them the right way. I’ve given you 5 ways to target millennials when it comes to your marketing strategies. Implement these concepts to your company, and make it work! If you find something not working, then change it! Don’t be afraid to take risks when it comes to millennials, because they are all about it. Not only is it smart that you are taking the initiative to target millennials, but it’s strategic since most millennials will be in the working force by 2020 (Advantages). What other methods do you use to target millennials? “Millennials in the Workforce.” Advantages. April 2016. 8. Print. Awesome article Tanya! 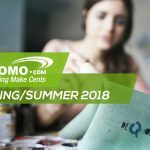 I’m no marketer, but as a business owner this article definitely gives me some great pointers! Wow, Facebook leads all social networks with 1.86 billion monthly active users. This is almost 1/3 of world population.